Dressage, Driving, Gymkhana, Playdays - Equestrian Trails Inc.
ETI offers Dressage for both English and Western riders. Dressage riders both English and Western must follow a designated pattern for the test they choose. 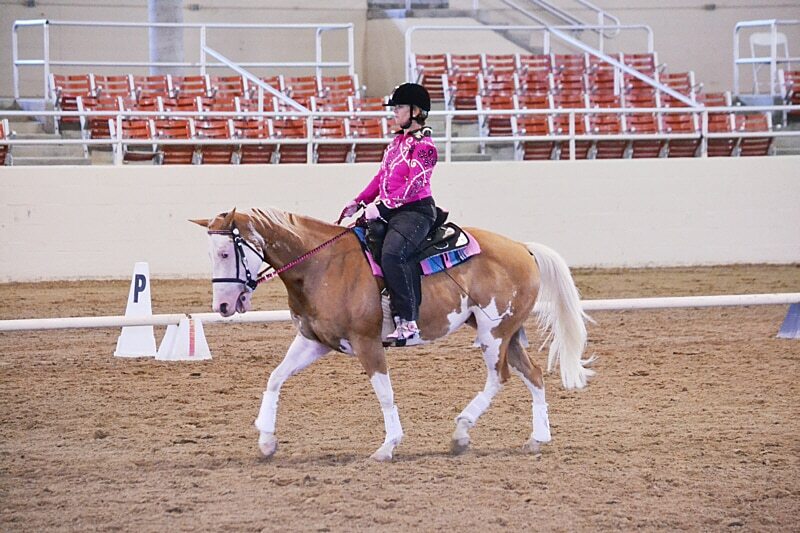 Our dressage classes are only available at our ETI National Horse Show and Convention. With many different levels available it is open to many riders. What does ETI offer for driving? Insurance, yes that is the most important thing. Without the ETI insurance there are many driving activities that may not happen. What kind of Activities you ask? Corral 14 does Wagon Trains 4-5 a year. They have a week long drive from Lone Pine to Bishop. In the fall, they have a two week, 100 Mile drive through Death Valley. This year they will be celebrating their 50th anniversary of the Death Valley Wagon Train. Corral 14 also has a few local 1- to 3-day wagon trains, where you can camp and drive out and back to the same place each night. Corral 12 does a Play Day of fun driving at the Stetson Ranch in Sylmar. This Corral is fully responsible for that driving arena’s construction. Corral 10 does a Driving Derby in Lake View Terrace. The National Convention has a great Carriage Driving Show to help new people get involved with Pleasure Shows. 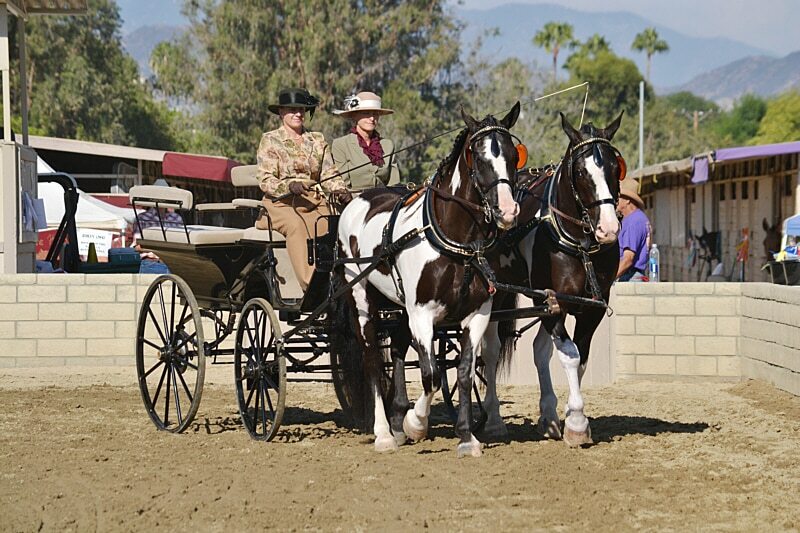 At this show we have a variety of classes to show off the beauty of the horse and carriage, and we have fun classes through obstacles to test the driver’s ability. We have all sorts of equines, from Miniature Horses and Mules, to many different breeds of Horses and Ponies, to Draft Horses, and all types of carriages. In addition, because of the insurance, other clubs are able to have rides, where drivers can go. At least one of these ride/drives were set up to help the riders horses get used to the carriages. ETI does a lot for the Equestrian Drivers. A lot more than many realize. Currently, there is no National High Point Gymkhana program, however Corrals 37, 43, 77 and 88 have regular gymkhanas. To find one to attend near you, go to our Local Corral Events Calendar. Playdays offer a variety of skill, speed and most importantly FUN! 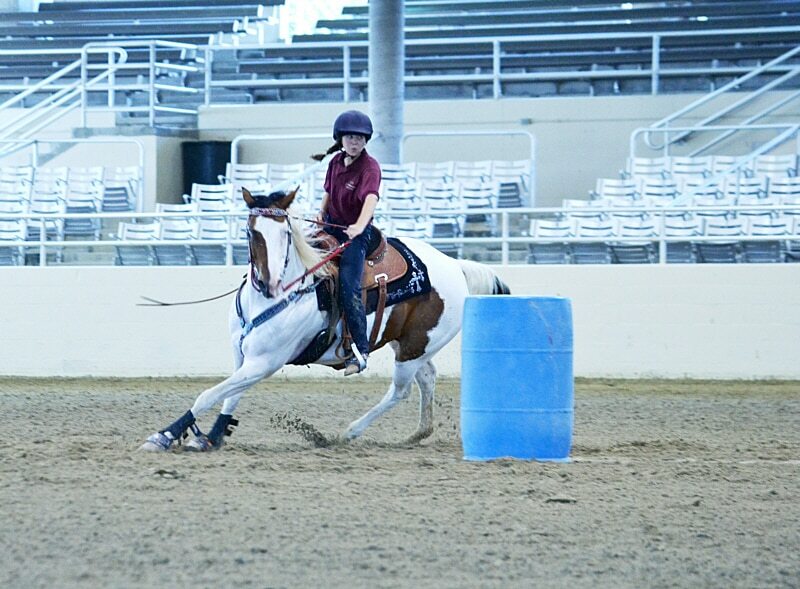 The range of events allows horse and rider to improve their communication while just having a great time. Events can be scaled to accommodate all levels of riders. Young or old, new to horses or seasoned competitor, green horse or old faithful; playdays offer a fun and challenging day for everyone. There are an unlimited number of events offered at playdays. Some examples are Musical Stalls/Tires, a variety of Relay races, Run/Ride & Lead, Boot Scramble, Barnyard Jumps, Bucket Ball, Ribbon Race, Ring Toss, Simon Says, Ribbon Grab, Obstacle Course and many more. Playdays can have events that are typically found in Gymkhanas as well, or a variation of them, like Cloverleaf Barrels, Pole-bending, Keyhole, Gated Stakes and Precision Barrels. Playdays can also take on a special twist when they are themed or based on a holiday. Most playday events involve both speed and skill elements. The horses love the different interactions and the riders can change gears from their usual routine and work with their horse in a new way. But as mentioned before, all these events can be done at your own pace/ability. 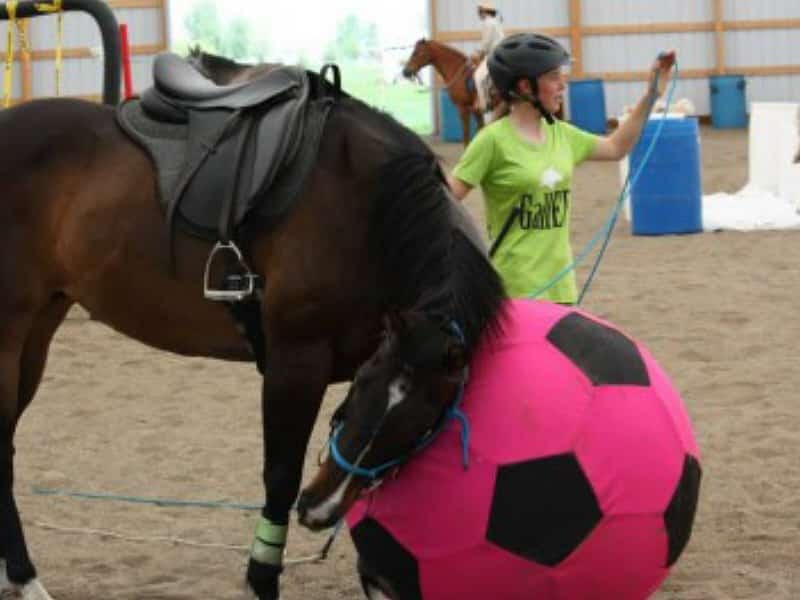 You don’t have to be an expert to have a good time with your horse. The key word is PLAY! !